We just love old-fashioned fruits and flowers! There's a reason why fruits like quinces and damsons were popular to grow and use in years gone by, and in this fast age of instant meals and takeaways it's lovely, when you have some spare time, to get back to picking and processing fresh seasonal produce to last into Winter. 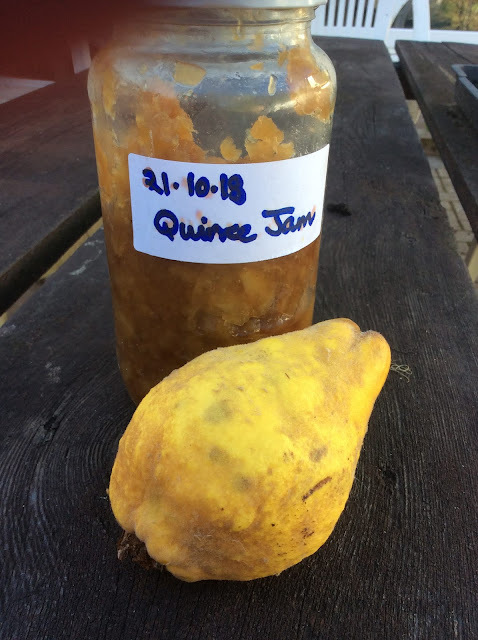 Fruit like quinces are rarely found in shops here in the UK so getting some fruit and making jam, chutney or jelly with it feels like a luxury, especially when you taste their unique flavours and realise they have nutritional benefits too. Take quinces. 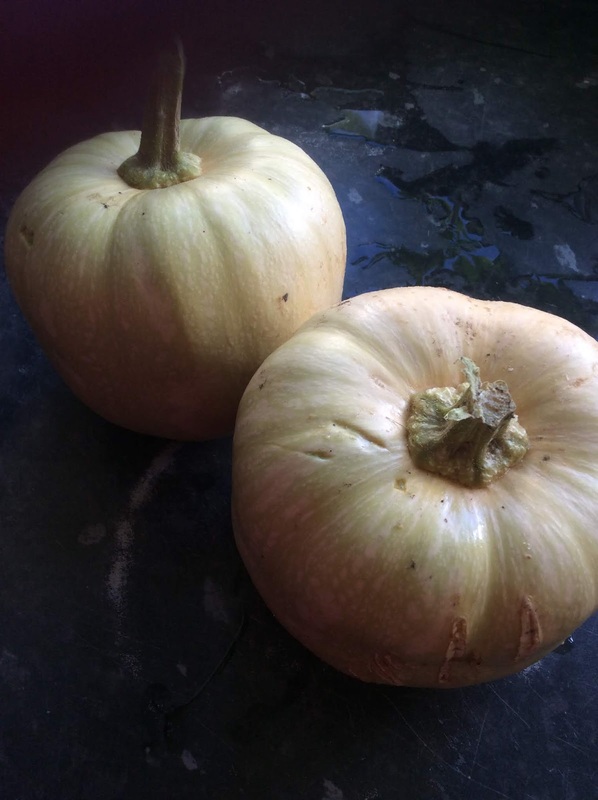 If you can't forage any, try checking out your local farmer's market.We were lucky enough to find some in a local grocery but this is a rarity. We haven't got a quince tree in the garden (yet!) but where I work there were some unwanted quinces in the grounds. 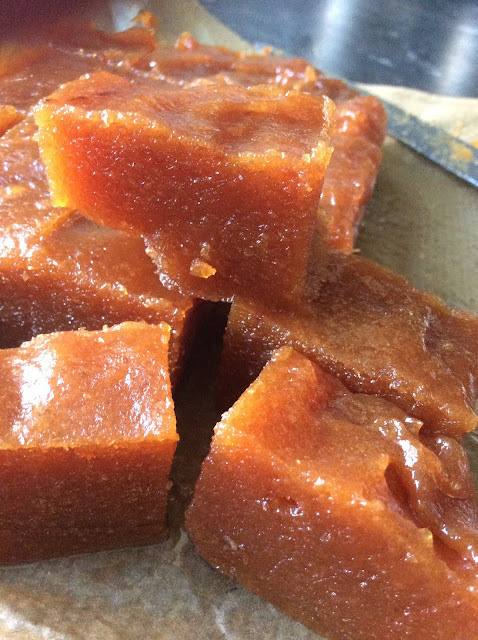 I was given five, with which I made the membrillo. My colleagues were puzzled as to what these somewhat ugly-looking pear- like, knobbly fruits were and at first didn't believe me when I told them they were quinces, as most people are more used to seeing the shrubby little Japanese quince with the pretty red flowers and much smaller fruits. But quinces they were, and I proved it by making this delicious quince paste! Don't be put off by the fact that you have to cook quinces to make them palatable- the flesh is hard and sharp-tasting when raw- because although I suspect they lose a great deal of their Vitamin C content through cooking, they are high in pectin, a soluble fibre which is great for our digestive health, and also sets jams and jellies beautifully. To make the jam, I peeled, cored and chopped the quince, cooked it down in a minimum of water and then added brown sugar. I didn't add equal the weight as we don't like our jams too sweet, and it all depends on the quinces; they can vary in flavour. So we prefer less sweet jam and we keep it in the fridge. Quince jam, the original "marmalade" makes a lovely breakfast spread. I've been having it on oatcakes with tahini. 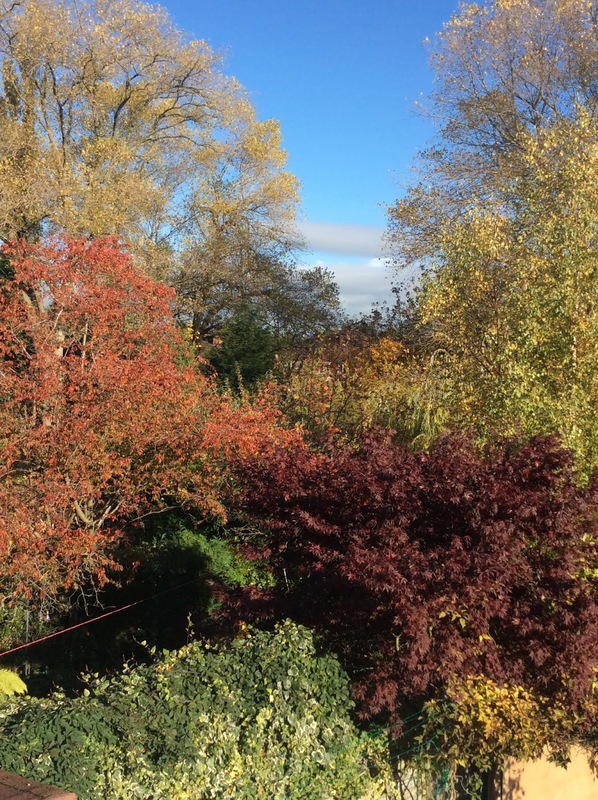 Before I tell you how to make the quince paste, we invite you to take a virtual stroll in our lovely Autumnal garden! We have been blessed with some beautiful mild weather which meant we had flowers at the same time as multicoloured falling leaves. 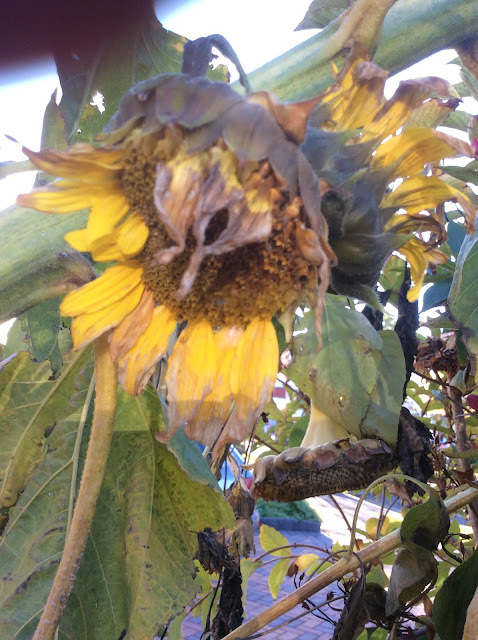 Now frosty mornings are the norm, though, and the flowers are nearly over. 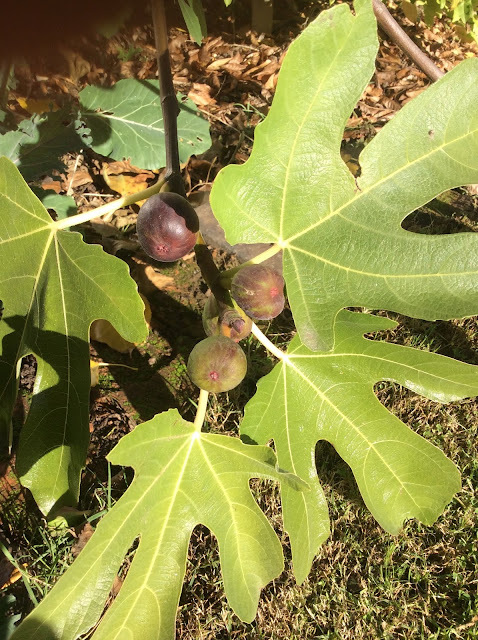 "Violette de Bordeaux" a hardy variety of fig, has given us bowls of lovely fruit this year, even into November! 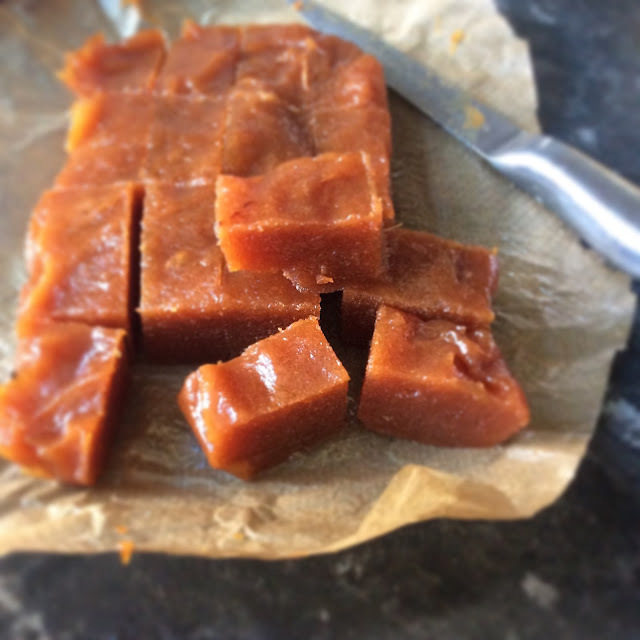 Here's the recipe for Membrillo, which is traditionally served with a cheeseboard- we are saving ours until Christmas, when we will indeed serve it with a selection of vegan cheeses. Roughly chop the fruit and add a little water. Cook down in a sturdy pan until you get a pulp. Rub the pulp through a sieve or jelly bag. Weigh the pulp and add the same weight in sugar. If you use veggie/ vegan (ie from beet not cane) white sugar you will get a more reddish- brown result. Our brown raw sugar gave the membrillo a russet colour. Dissolve the sugar over a low heat. Bring to a steady boil, stirring regularly to prevent the mixture from buring on the bottom of the pan. When you can scrape the bottom and sides and the mixture pulls away, leaving the pan looking clean, it's done. Turn into a tray lined with lightly-oiled baking paper, 2-3cm deep. When cooled and set, cut into cubes. I'm told it keeps very well, so I've stored ours in a jar in a dark cupboard, where, with any luck, we'll all forget about it until Christmas. We did, however, taste a cube each, and both loved the delicate flavour.